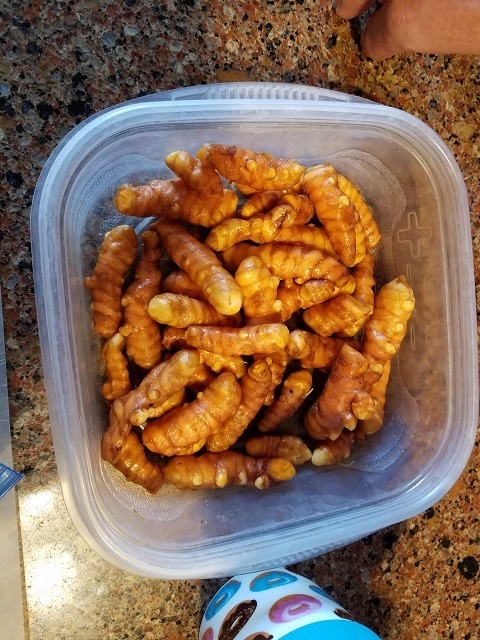 Harvest Time for the Tumeric - BobCat Acres, Inc.
For all those who purchased Tumeric plants from us. You should be noticing that the plants seem to be dying, that is not true. What they are doing is going dormant for the winter. But that means, IT’S TIME TO HARVEST YOUR BOUNTY. 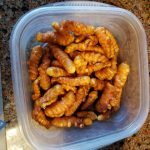 We managed to get 7oz of Tumeric root from just 3 plants still in 6″ pots. Here is the Video of us harvesting the Tumeric. We also took a look at the Ginger though it seems to still be growing. So get ready to enjoy your harvest with some really tasty spices.